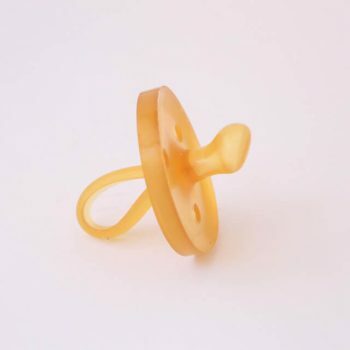 If you care what you put in your babies mouth be sure to use a Natursutten dummy. 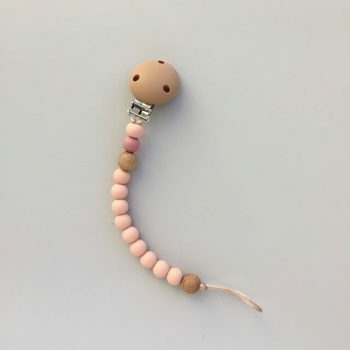 Environmentally friendly, biodegradable and is made from 100% natural materials this product is recommended for babies from 0 to 6 months old, this size is a small size. 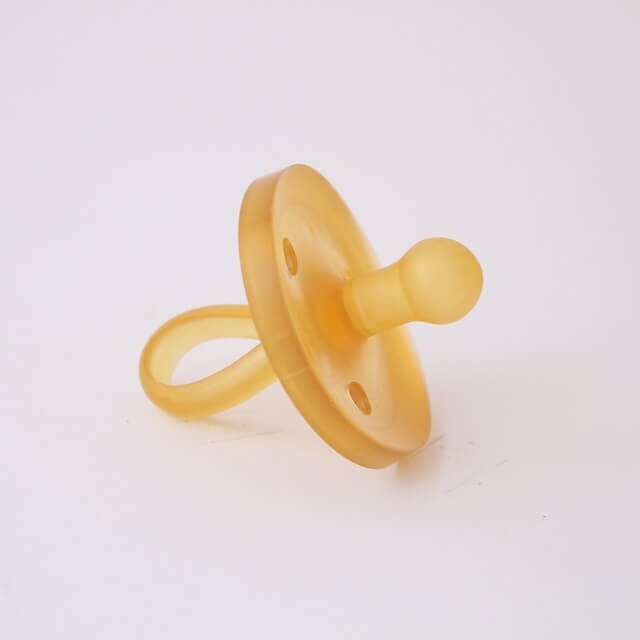 These are just some of the benefits of the Natursutten baby pacifier. 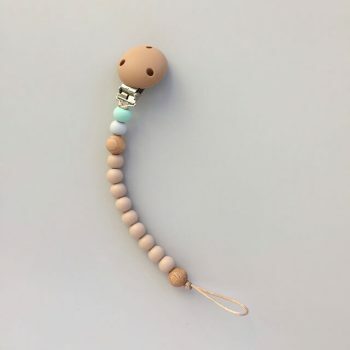 The packing print is made with soy ink with different colours used to identify the types of pacifiers. 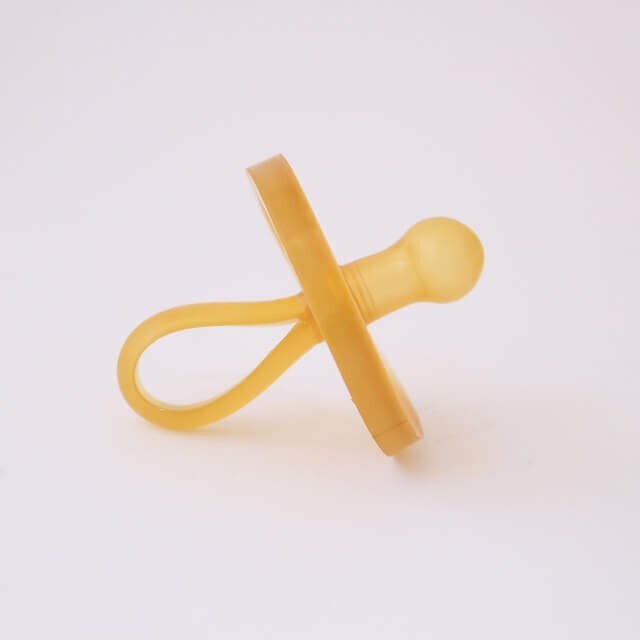 This rounded dummy comes in a mint green box while the orthodontic pacifier in a purple box. The Manufacturers have minimised the use of their packaging. Please see the instructions on the inside of the box for safe use. To produce the pacifier the seeds are grown for approximately 18 months. Then grafted and planted on a plantation where it is left to mature for 7 years. It is then tapped and the white liquid latex is collected. Every second day this process is completed until one side is finished. The alternative side of the tree is tapped with the liquid being shipped to the family-run product facility in Italy. We love the Natursutten brand as they are an environmentally friendly company. Their designs and manufacturing are sustainable and aim to create zero waste. They aim to use 100% renewable energy and reduce their carbon footprint. 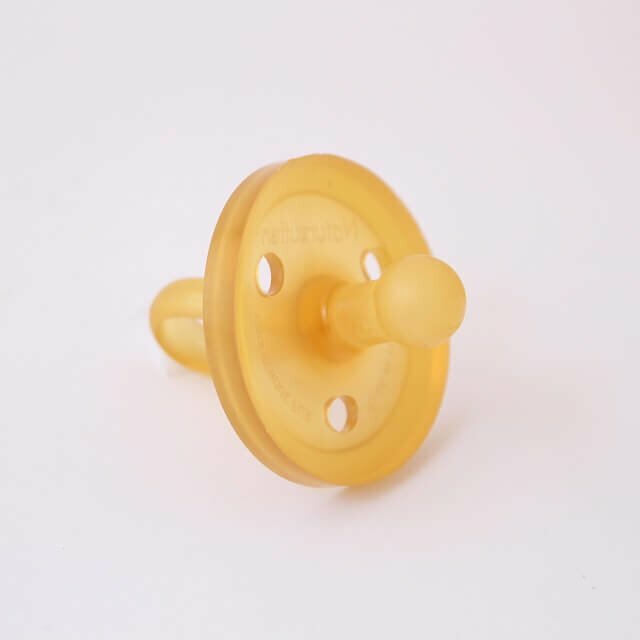 Once you have used the smaller newborn pacifier try the medium sized Natursutten soother. If you love our range of dummies explore the pregnancy journal and baby record book.